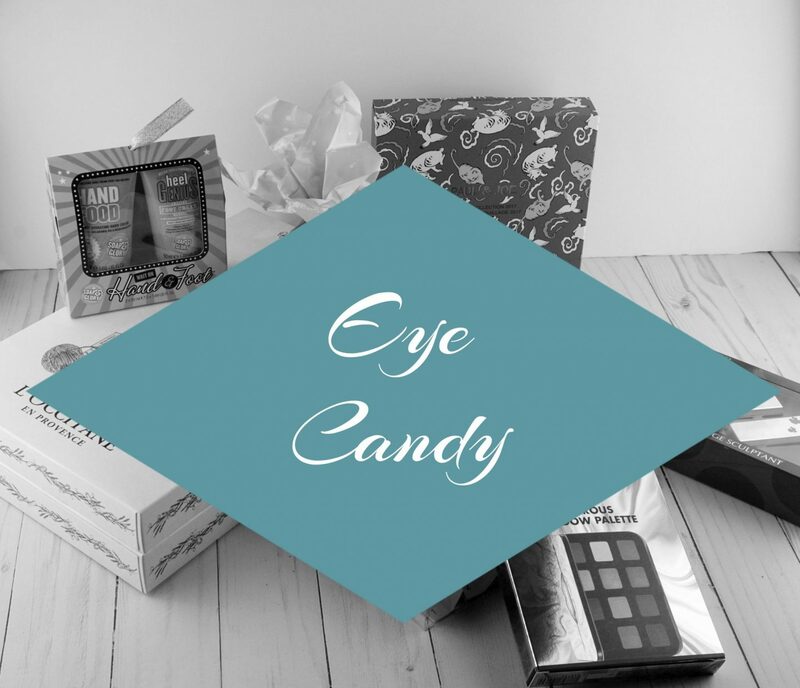 Gift Guide: Eye Candy - gifts that are cute, pretty, and pleasing to the eye. Gift Guide Week continues featuring gifts that are pleasing to the eye. So today’s gift guide includes products that look fun, cute, and are aesthetically pleasing. Bring on the eye candy! Paul & Joe understands my love for my best friend, a.k.a. my cat. They’re famous for putting out makeup products that feature kittens, and this holiday season is no different. 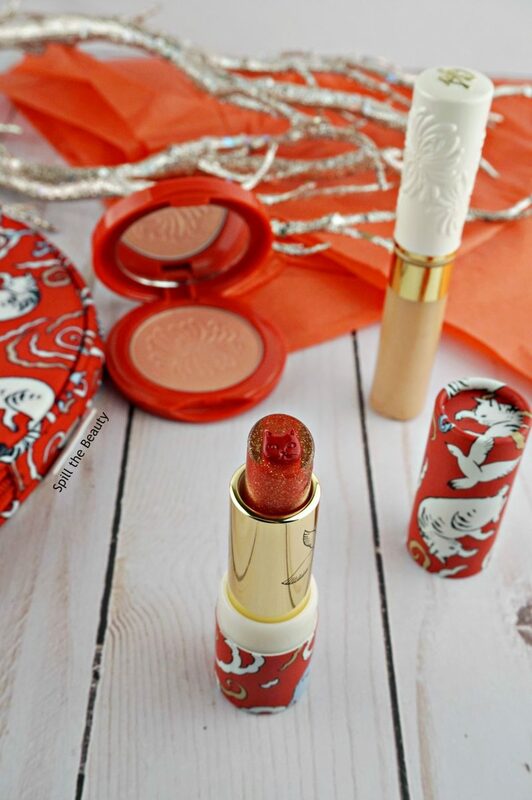 Paul & Joe make up collection 2017 ($64 CAD) is inspired by champagne in Paris, and features a kitten-adorned pouch, a shimmering blush, an eye gloss, and a limited-edition lipstick that features a cat face poking out – that lipstick is just too cute to use! Available at beautyBOUTIQUE.ca and at select Shoppers Drug Mart locations. Is there anything cuter than sitting down for a holiday dinner and seeing a little holiday cracker wrapped in a festive bow? 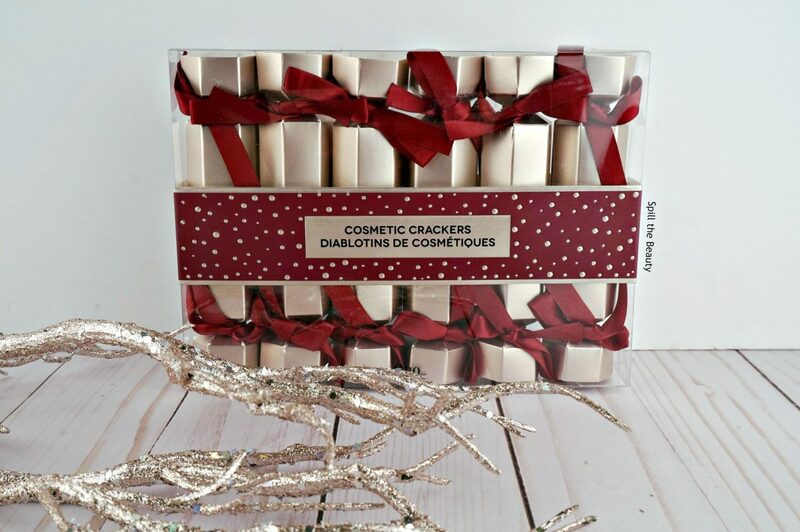 The Quo Cosmetics Crackers ($15 CAD) come in a set of 6, and have a little lip gloss hidden inside. Available exclusively at Shoppers Drug Mart. One gift that you can only get around the holidays is advent calendars. Nothing pleases the eye like a little bit of mystery – I need to know what’s inside each window! 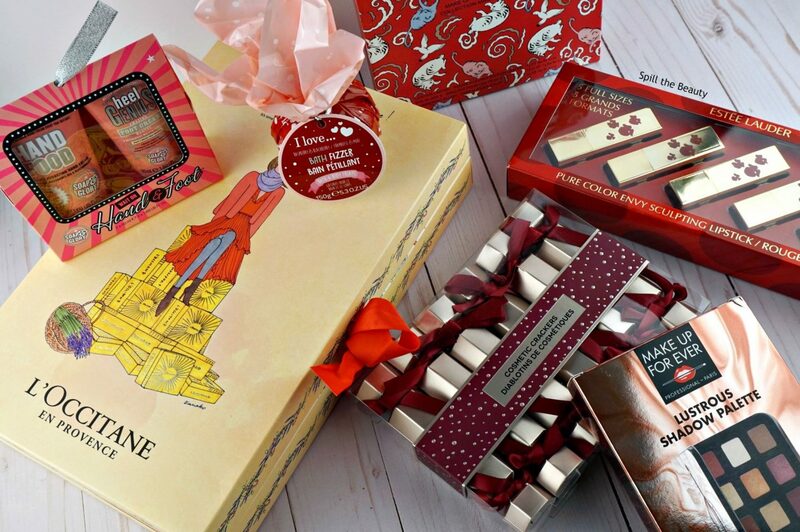 L’OCCITANE EN PROVENCE‘s Advent Calendar ($52 USD/$69 CAD) has 24 beauty essential surprises. This advent calendar contains L’OCCITANE’s most beloved ingredients for a luxurious body and skin experience. Available at L’OCCITANE EN PROVENCE stores & online. Soap & Glory always nails it when it comes to pakcaging, and the Wait On Hand & Foot Set ($8 USD/$12 CAD) is no different. Bright pink bottles with swirls, and stars – what’s not to love? This set includes a ‘Heel Genius Foot Cream’ and a ‘Hand Food Hydrating Hand Cream’. Available in the USA at Target and Ulta, and in Canada at Shoppers Drug Mart. Oh man…do I even need to explain why this palette is part of the “Eye Candy” gift guide? Just look at it! 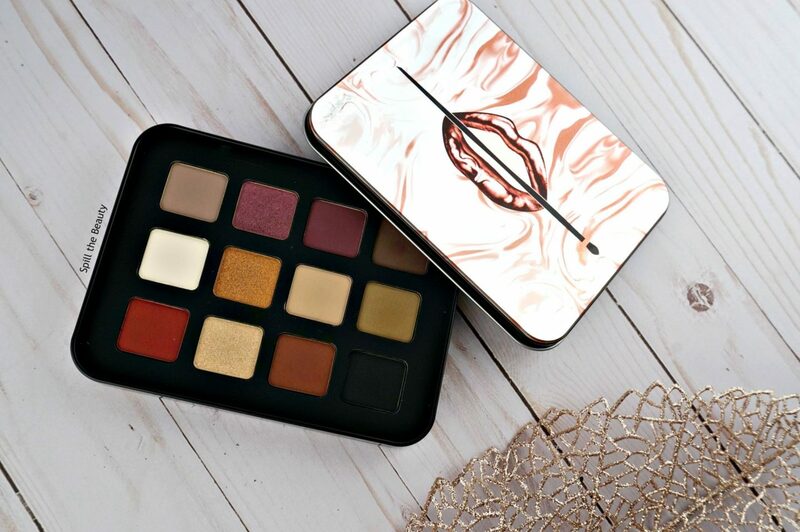 MAKE UP FOR EVER Lustrous Shadow Palette ($49 USD/$58 CAD) is housed in the most beautiful red and silver water marbled packaging, with the MAKE UP FOR EVER lip logo. In addition to gorgeous packaging, the shadow selection is just stunning – metallic golds, punchy reds, and jewel-toned purples create the perfect mix of colours for the 2017 holiday season. And the cool thing about this palette is that the shadows are surrounded by a removable foam frame, so you can take out the eyeshadow pans and place them in a magnetic container (great for travel or if you are a makeup artist). Available at Sephora and online (currently on sale for $39 USD/$46 CAD!). I had to include something that looked like real candy in my ‘Eye Candy’ post, right? 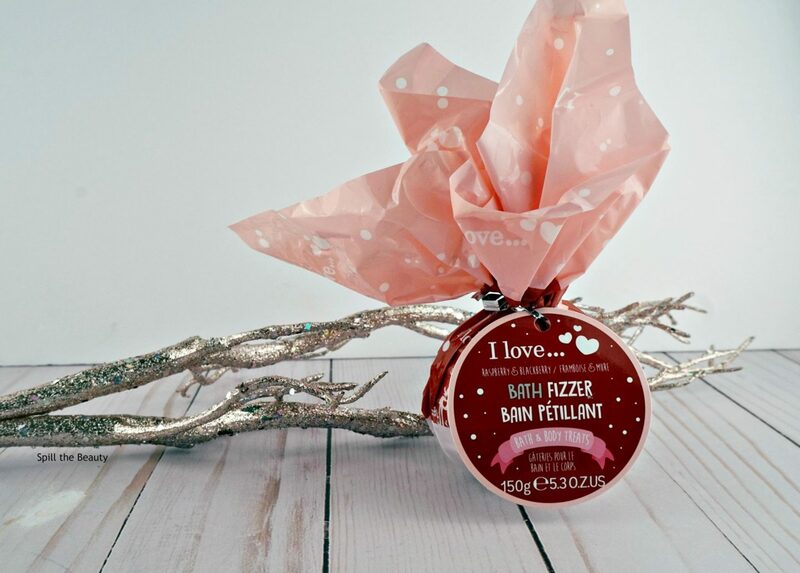 The I Love…..Raspberry & Blackberry Bath Fizzer allows you to unwrap a yummy-looking treat, and toss it into your tub. Make your bath look fizzy and smell fruity, this holiday season! Available exclusively at Shoppers Drug Mart. Estée Lauder’s Pure Color Envy Sculpting Lipstick Set ($38 CAD) features 5 full-sized lipsticks housed in the cutest packaging I’ve ever seen from Estée Lauder. 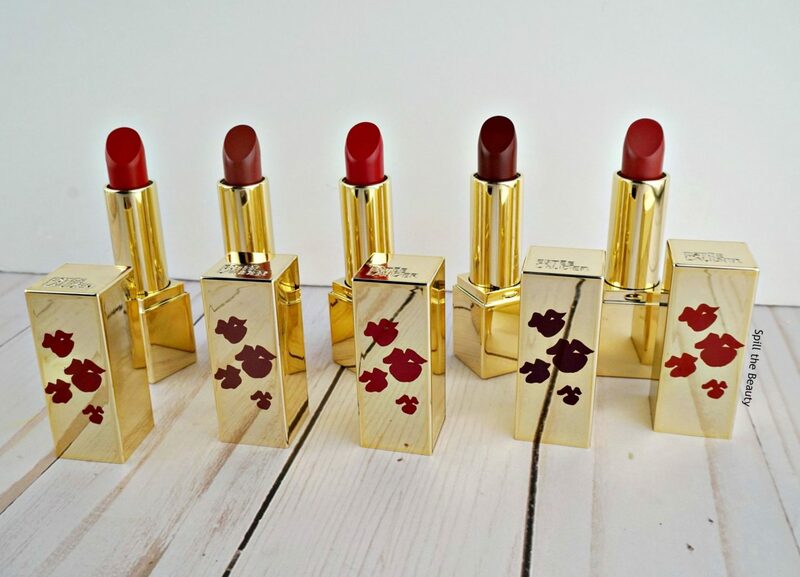 These red, wine, and rosy shades come in square gold tubes, with cute little kiss prints on the cap that reflect the corresponding lipstick shade. These lipsticks are too pretty to hide in a drawer – they need to be framed and displayed! Available at exclusively at Hudson’s Bay. What brand do you always look forward to seeing their cute holiday releases? Let me know in the comments below!